We all know Facebook,WhatsApp have the best feature to notify sender whether your message has been read or not.Think if an messaging service provide this service to us then what's about the Email Services? ?Think about it. How many times you want to know whether your email has been read by the destination or not?Leave a comment if you think that and stay with us?? 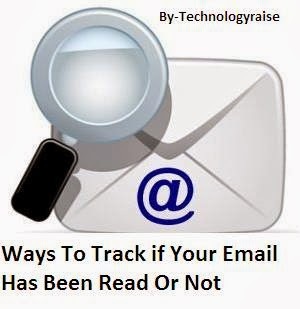 So if you are coming here to know the ways to track your email then you are in right place because today i am coming with some smart email services who help us to track our email. BananaTag is best service to track email's sending from Gmail and MS Outlook.So this is the main disadvantage in this service. 1)Visit the official website of BananaTag by click here.And create an account for free. 2)Now download its Chrome extension if you are using chrome and add-on if you are using mozilla. 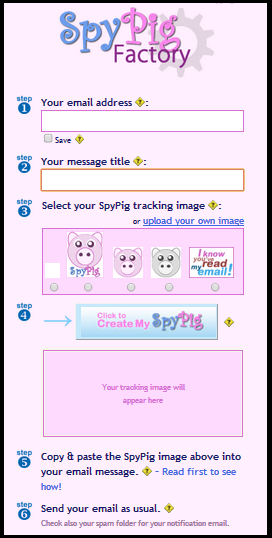 SkyPig is an another free service to track your email's. SkyPig Sends you email with time and date when the destination opens your Email. The working of SkyPig is same as of Yahoo, G mail, Hotmail etc.This service is very simple to use as compare to above BananaTag. No extensions,No downloads required to use this service. To Send email just fill the form as shown below.And don't forget to select the SkyPig tracking image because this image helps you to track Emails. Done these are the two ways check if your email has been read or not.For any query feel free to comment below. Conclusion: As from my personal experience Banana Tag service is very easy to integrate and used because once we install chrome or Mozilla add-on we don't need to go to any website and we don't need to login to any website.